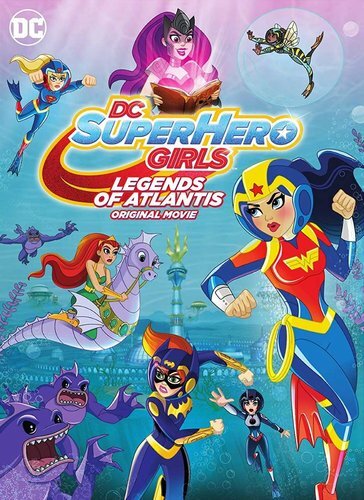 Dive deep into adventure with the DC Super Hero Girls in this an underwater epic. Sisters of the sea, Siren and Mera catch the students of Super Hero High off guard in a surprise attack to steal a very powerful relic – the Book of Legends. With the book in her possession and harnessing more power than ever, Siren aims to raise an army from the depths of the ocean’s trenches. It’s up to Wonder Woman, Batgirl and Supergirl to help Aquaman in defending Atlantis and stop the sinister Siren! Get ready for a thrilling adventure featuring the DC Super Hero Girls!